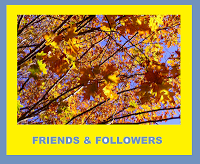 Thank you Vanessa Morgan for nominating this blog for the Friends and Followers award. We really appreciate it! We can't fully participate in these award nomination posts but that doesn't mean we don't value them. Mum has created a special page for all the awards we receive for this blog. You can see it here.